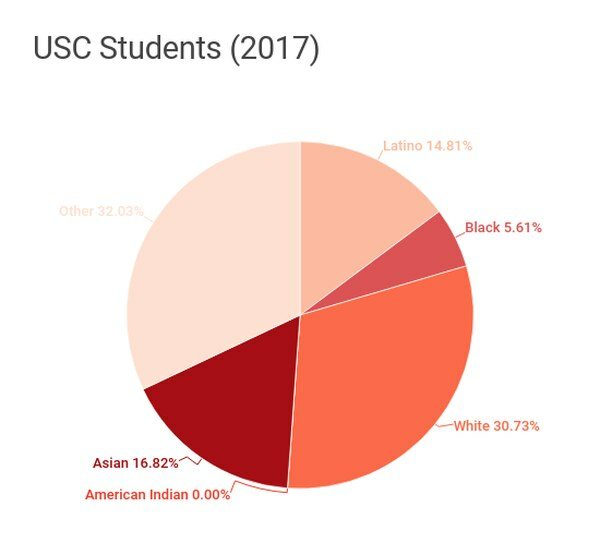 Data from larger USC community highlights the same troubling trend. 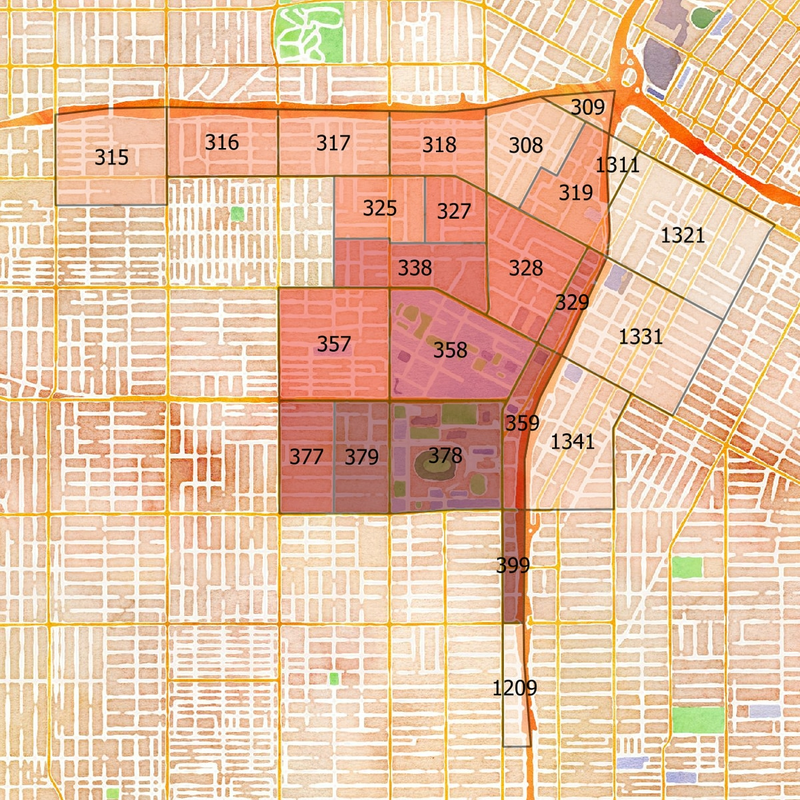 USC map with the reporting districts associated with police data. Mayor Eric Garcetti ordered the Los Angeles Police Department on Wednesday to reduce vehicle stops after the Los Angeles Times reported that LAPD Metro Division officers disproportionately stopped black drivers in South LA community. His actions also came in response to Los Angeles activists who were angered by the alleged racial discrimination. The Times found that the officers stopped black drivers at a rate more than five times their share of the population. 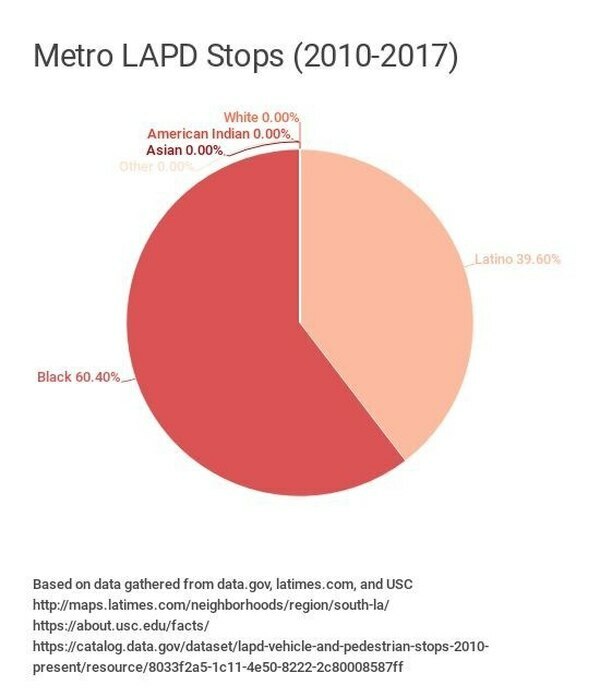 An analysis on data of vehicle stops by Metro Division and normal jurisdiction using federal statistics and data from USC and the LA Times in the reporting districts around USC found similar trends. The Metro Division has performed 38 vehicle stops within USC reporting districts from 2010-2017. 60.4 percent of those stops were for black drivers. 39.6 percent were for Latino drivers. They have not stopped a single white or Asian person within these districts in the entire span of seven years. According to LAPD, the purpose of the vehicle stops is to ensure and increase safety within the neighboring community. However, civil rights and community organizations such as American Civil Liberties Union of Southern California and the Community Coalition believe that the vehicle stops are racially discriminatory and demand the city to pull the Metro Division out of South LA. 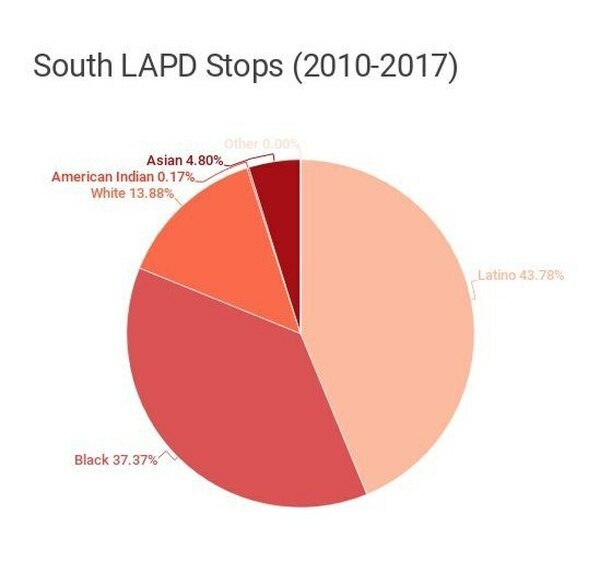 "The deployment of the Metropolitan Division has failed to address safety in communities like South Los Angeles, but rather has led to the incarceration and harassment of African American and Latino people," the groups wrote to Garcetti and LAPD on Wednesday, according to the LA Times. A representative who answered the phone at the LAPD's Metropolitan Division said that there are no differences in vehicle stop procedures between that division and other divisions in the department. He referred Annenberg Media to the department's media relations division. In a statement, the LAPD said: "Our Metropolitan Division officers are well trained and equipped to engage in various crime suppression missions designed to prevent crime, particularly violent crime. We understand the delicate balance between our enforcement posture and our steadfast commitment to building relationships, engaging the community and enhancing public trust." 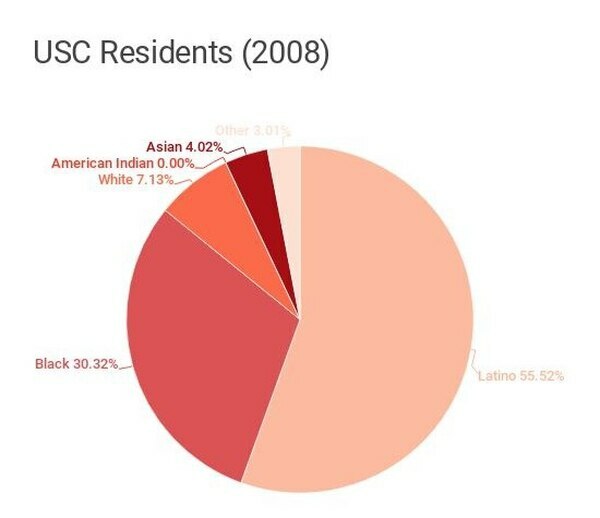 USC does not deal directly with the LAPD Metro Division, said David Carlisle, assistant chief of the Department of Public Safety, but operates closely with the Southwest Division instead. Carlisle told Annenberg Media that DPS does not "make traffic stops … We would only stop a person if the person was exhibiting activity that appeared to be related to the commission of a crime." DPS said it would not comment on Garcetti's order to reduce traffic stops in South LA. Additional data analysis by Laurel Weibezahn. Our newsletter is short and sweet. Sign up for a story and a laugh, and we'll send you the best of what we've got. Sign up for our sports newsletter to get an update every Monday on the Trojans' success. Get the USC news that matters to you. Sign up for text alerts! 1. Text "Hello" to (213) 699-4054. 3. 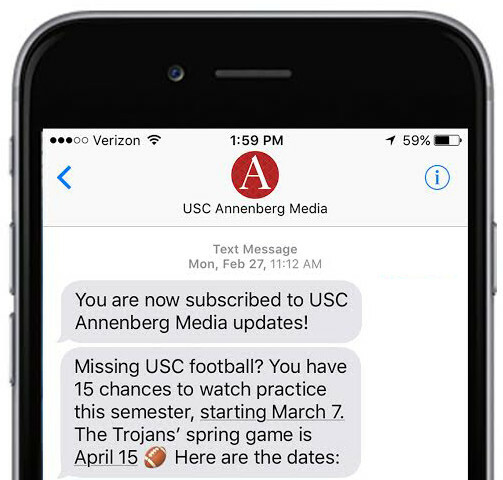 Enjoy updates about the most important news for USC students delivered right to your phone.